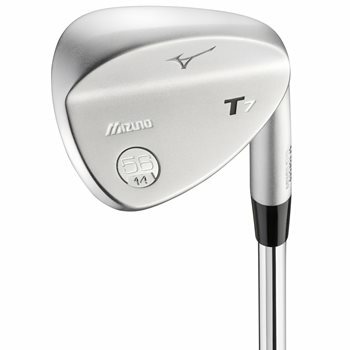 The Mizuno T7 Wedges are the first Mizuno wedges to be constructed out Grain Flow Forged 1025 Boron. The significance of this is that the grooves on the club face will stay sharper for longer than previous models. The Quad Cut Grooves technology with the T7 wedges provide maximum spin in every condition. Finally, the T7 wedges have loft specific head shapes and sole grinds which give these wedges pin-point accuracy and exceptional feel.